Nathalie Yves Gaulthier just returned from Oslo, Norway, where she was commissioned to create a piece for the Nobel Peace Prize Concert airing in in over 100 countries. Her piece, “We all need a Hero”, with 23 young prodigies received a rousing standing ovation from 10,000 people and a private meeting with the Princess and King of Norway and the Nobel Peace Prize committee, as well as much international press. She has created inspiring acts and shows for: The Dalai Lama, The Sultan of Brunei, international royalty, Dubai United Arab Emirates, national casinos, TV, film and stages all over the world. She recently launched and helmed the new Circus/Variety acts division for the World Championship of Performing Arts, an Olympic-style event now in its 23rd year with over 80 countries competing. Currently, Ms Gaulthier is the Canadian judge and Circus expert on Mark Burnett and Mike Darnell’s CBS’s #1 hit, 22 million viewers TV series “THE WORLD’S BEST” with Drew Barrymore, Faith Hill Rupaul and James Corden. Nathalie also privately trains Britney Spears in flexibility/tumbling and hosts Pink and Cher in her exclusive private training facility in Los Angeles, CA. Nathalie circus choreographed, consulted and did the international circus casting for the feature film “Saving Flora” starring David Arquette, Tom Arnold and Jenna Ortega. Film release June 2019. Coming up, she will be choreographing a circus sequence in hit artist’s Lukas Graham’s new music video for Warner Bros Records. You can also catch her work on Emmy award-winning A&E’s “Born this Way” TV series. 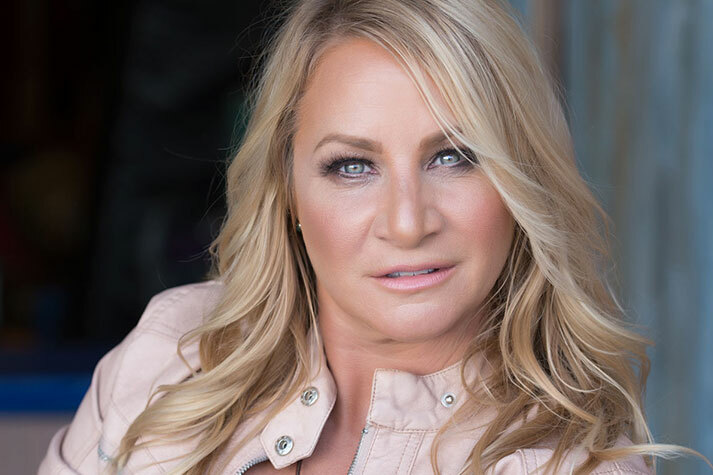 She has booked, trained and launched the careers of multiple Cirque du Soleil and Euro circus/variety acts artists and is known for launching/booking Circus/variety acts internationally since 1996. Not only launching and booking careers, but she also advises on the safety of circus rigging, programs, guides newcomers and national safety regulations. Recently she presented a cirque show on ESPN with UCLA “Bruins” College Gymnastics which led to the Mayor of LA requesting to meet her immediately after the show. Once, again with UCLA gymnastics, she created a cirque segment for CBS’s “Jump Jive and Thrive” Cancer TV special with Melisa Etheridge and numerous Olympians. She has won numerous awards, including BEST DIRECTOR in the USA at the National Youth Awards 2015, 2016 and 2017. As a philanthropist and humanitarian, Nathalie has raised over 6.2 million in the past 6 years for numerous organizations/charities around the world. Raised a complete minority with Inuits (Eskimos), she was the only blonde green-eyed child amongst a native village called Nunavut (just below Greenland) and was fluent in Inuit and French before English, which she learned at 11, after being teased as being “white and Eskimo”. She moved to Montreal, Canada at age 10, and became a renowned child actor on television, films, and recording artist in both Canadian and American projects. Performing as a lead or guest star in over 8 Television series and numerous films, she acted in Symphorien, Cher Isabelle, Le Jardin des Etoiles, Fan Fan Dee Dee etc..
She became the National Public Speaking champion for 6 consecutive years in both French and her newly learned language, English. She founded her talent agency and youth programs at age 14, attended McGill University at 14 as a gifted child and completed high school early with honors. She then attended Concordia University / BFA. By age 28, she owned 4 of the most successful Talent agencies in Montreal, Toronto, Vancouver and Beverly Hills and launched numerous child and young adult stars. She has booked numerous artists in Film, TV, Cirque Du Soleil, European Circuses, commercials, national ad campaigns with Ellen Degeneres and Steve Harvey and has launched the careers of numerous Oscar, Emmy, Golden Globe nominees and has in the past represented Ryan Gosling, Hayden Christensen, Elisha Cuthbert, Rachel Blanchard, Jay Baruchel, AJ Cook, with her own talent agencies and numerous Cirque du Soleil artists all over the world. Founder of Le PeTiT CiRqUe® in Los Angeles in 2012 and an international show creator, she has been working with gifted youths in Cirque since 1984. She writes and creates shows nationally and internationally and is often a circus or youth consultant/acting coach on film/TV sets and is the mastermind behind the internationally acclaimed and multi-award-winning Le PeTiT CiRqUe®. She has been a renowned force and advocate in the circus, film/TV and live entertainment industry for over 37 years and is also one of the founding members of TAMAC in Canada (Talent Agents and Managers assoc. of Canada) and is a sponsor and advisor on the American Youth Circus Organization and American Circus Educators boards. She owns LA’s largest circus training facility, and cirque theatre: a 10,000 sq. ft studio and full 250 seat theatre in Los Angeles where many shows are produced and TV/Film is shot. It is the only facilities that is American Educator’s Recognized in the state of California. Her facility is where PINK, CHER, Neil Patrick Harris, DEADPOOL, WONDERWOMAN etc train and rehearse. *numerous television series, episodic and commercials. As a former columnist writer, Nathalie was the youngest journalist ever contracted to a large newspaper at age 17 and had her own Entertainment Column for 5 years in Montreal’s THE CHRONICLE Newspaper. She was subsequently nominated for several journalism awards. She has also received nominations in: Canada’s Top 40 Under 40 Business Awards, Heart of Gold Award, Journalism Awards and can be found in the Canadian and International/World WHO’S-WHO Publications (as one of the 12,000 most notable people) and is listed in the “1000 Most Influential People of the Century” book and has been on the cover of numerous publications and international television appearances. “ A force of nature”as stated by Billy Bob Thornton and Rob Reiner, Nathalie Yves Gaulthier has endless ambition, an unmatched drive, inspiring non-stop energy, inspires the world, is a mentor to many in North America and currently owns the ONLY prodigies humanitarian cirque company in the world. Relentless and a true believer that ALL IS POSSIBLE, her company swag and promos appear in all presenter and nominee Gift Bags for the Oscars, The Grammys, AMA, CMAS and The Emmys since 2012.